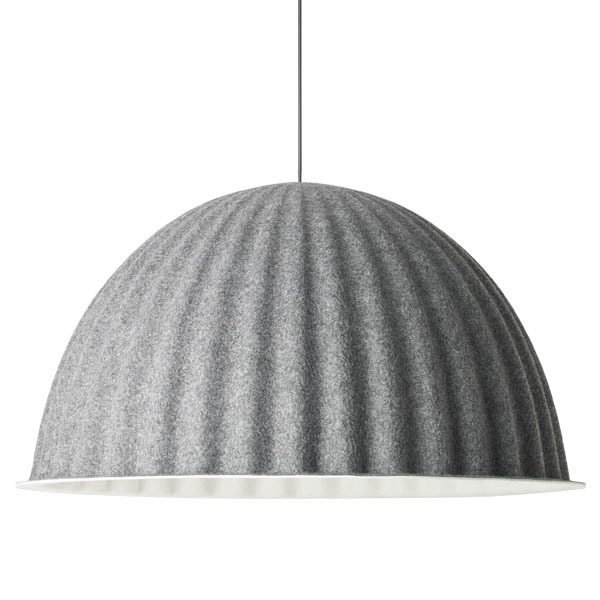 Muuto's Under the Bell pendant lamp has a large, round shade made of recycled plastic felt. 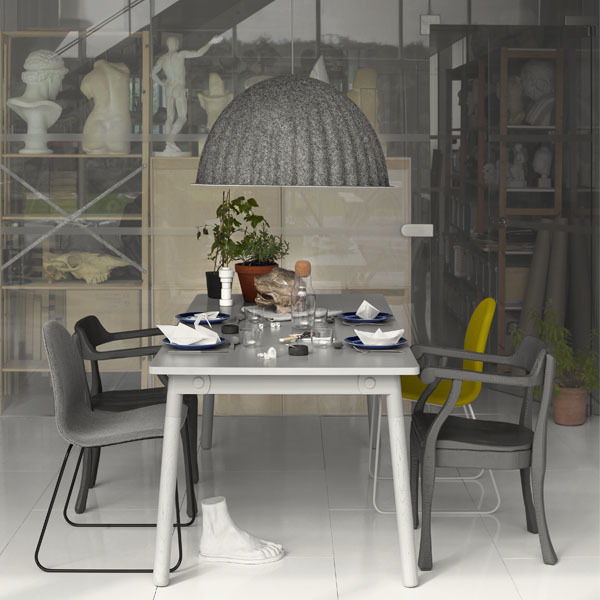 When hung over a table or in an open environment, Under the Bell creates its own space within the bigger space. 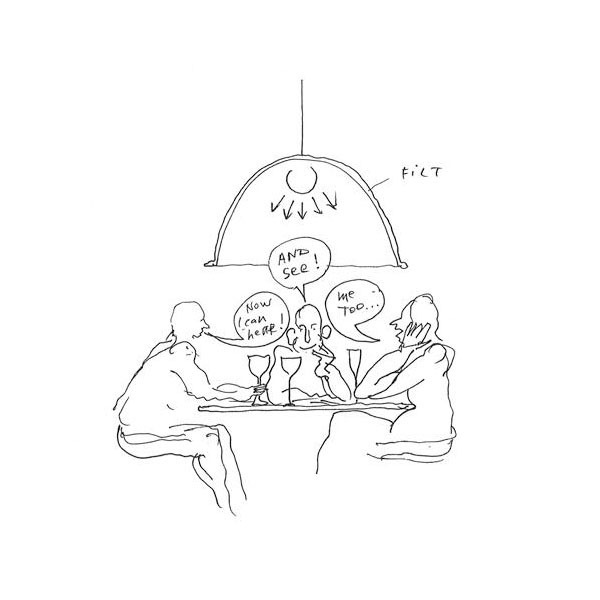 This way, the lamp embraces and shelters the table and people beneath it – both physically and in a more abstract sense. The material absorbs sounds and helps to improve the acoustics of the room, making Under the Bell a perfect luminaire above the dining table and in other spaces where people gather to talk together. 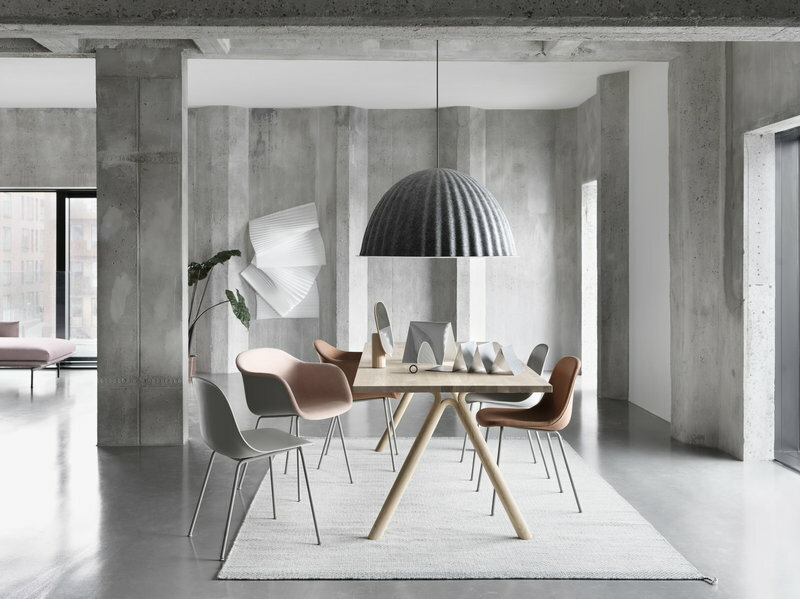 Under the Bell collection was designed for Muuto by Iskos-Berlin.